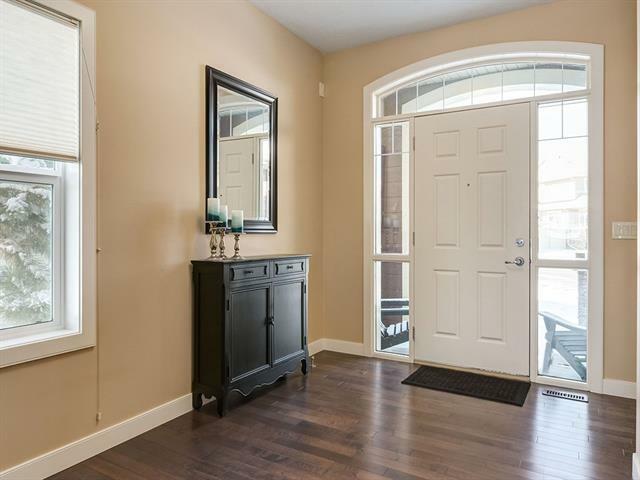 Beautiful family home on a very quiet street in Cimarron Springs. The large foyer leads into the kitchen, w/ a 10 center island, granite, full height cabinets, walk-in pantry & SS appliances. 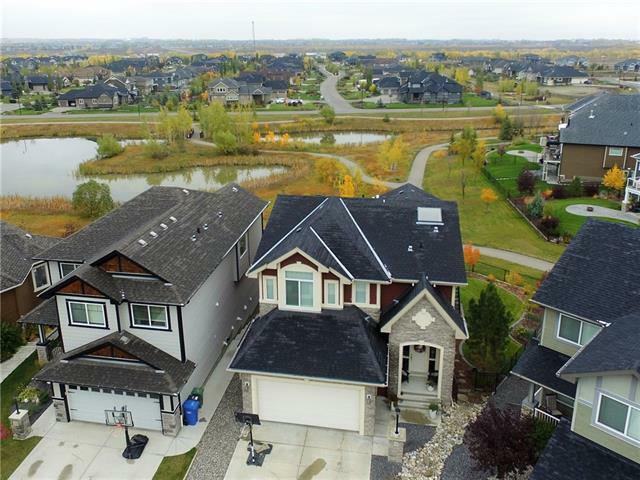 The kitchen flows into your dining area providing access to your back deck over looking your beautifully landscaped yard, pond & walking trails. Completing this level is a large open living room w/ gas fireplace, a den w/ pocket privacy doors, large mudroom & 2pc bath. Upstairs the vaulted master bedroom is a retreat w/ large walk-in California closet & 5 pc ensuite, incl rain shower & jacuzzi spa tub. A large bonus room, 2 add'l bedrooms, full bath & laundry room complete this level. 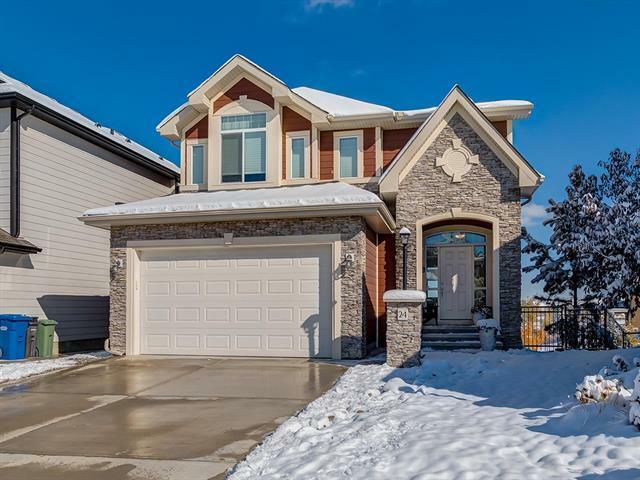 The builder developed walkout basement has INFLOOR HEATING, 9ft ceilings & incl a family room, games room w/ wet bar, wine room, 4th bedroom & full bath. 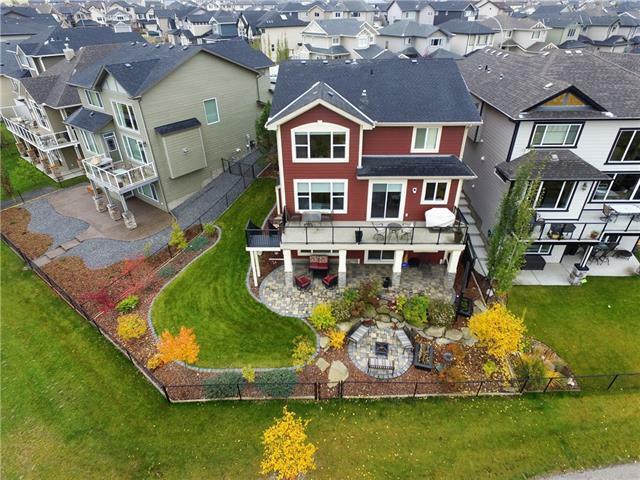 Outside your fully fenced yard has been professionally landscaped with paving stones, low maintenance trees and shrubs, & automatic underground irrigation system.